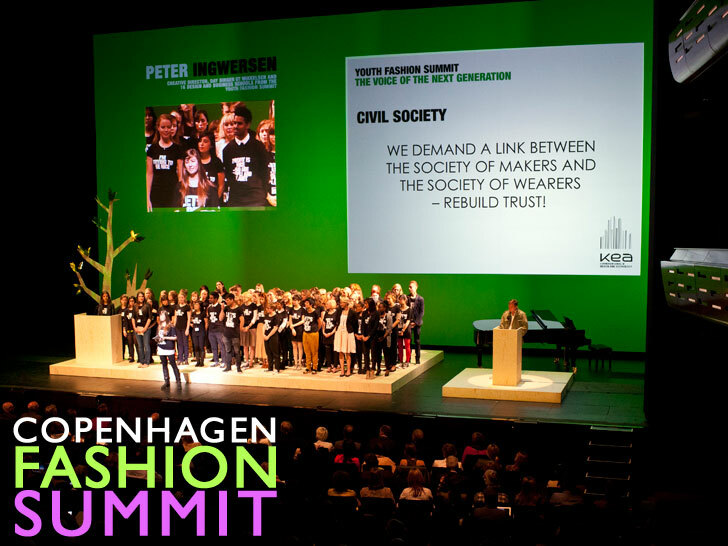 <p /> The next generation didn't just voice their opinions at the <a href="http://www.ecouterre.com/copenhagen-fashion-summit-hammers-out-new-industry-code-of-conduct/">Copenhagen Fashion Summit</a> earlier this month; it roared. 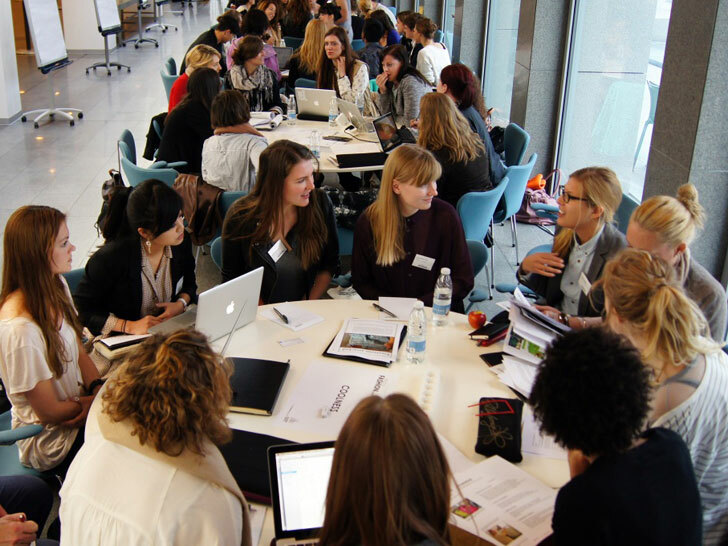 Nearly 100 students from 16 design and business schools across Europe, including the <a href="http://www.ecouterre.com/london-college-of-fashions-community-repair-project-highlights-mendings-role-in-sustainable-design/">London College of Fashion</a>, the <a href="http://www.karch.dk/uk">Royal Danish Academy of Fine Arts</a>, and <a href="http://www.su.se/english/">Stockholm University</a>, gathered before the event for a day-long tête-à-tête of their own. Their goal? To draw up a list of recommendations for the fashion industry—the same one they're poised to take over one day. 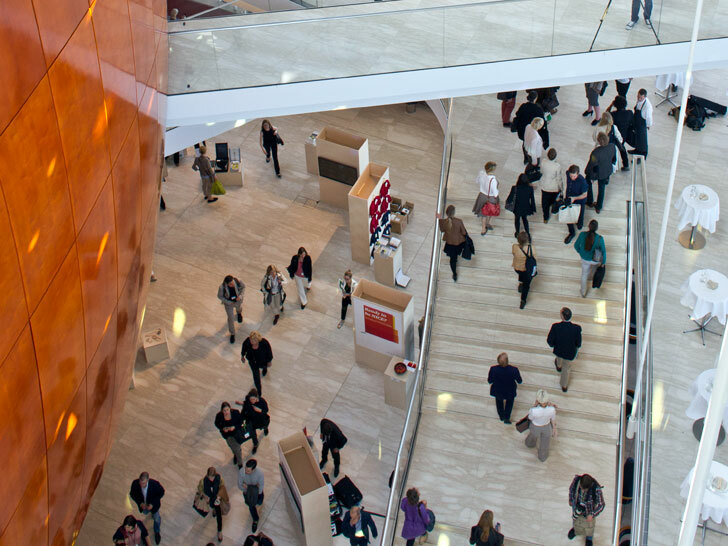 <h3>MAKE MEMORIES, NOT JUNK</h3> The challenge is to make 'common sense' more common, said one representative from the <a href="http://www.sdabocconi.it/en/">Bocconi School of Management</a> in Milan. "In today's consumer society, we can't make people buy less, but we can make people buy <em>smart</em>—products that last and can be taken care of." If brands are to make loyal customers of millennials, she added, they need to tap into their sense of community. "As a brand, you want to be part of that community by providing the consumers information about you; to allow the consumers to grow with you and to make them loyal to you," she said. "So we demand that create memories and not junk." <p /> <h3>REVEAL THE TOTAL COST, NOT JUST THE PRICE</h3> Consumers have the right to know the total cost of garment instead of only its price. "What about the human cost?" asked a student from <a href="http://www.kea.dk/da/">Copenhagen School of Design and Technology</a>. "What about the environmental cost, both in production and when the garment is washed? What about the disposal cost?" <p /> While she allowed that there were no easy answers, the fashion industry could do well to follow the examples of the food and cosmetics sectors. "The cost system should be for the brand, not the product," she said. "This way, the consumer has a choice. Now they don't have a sustainable, ethical, transparent choice in the purchase situation." 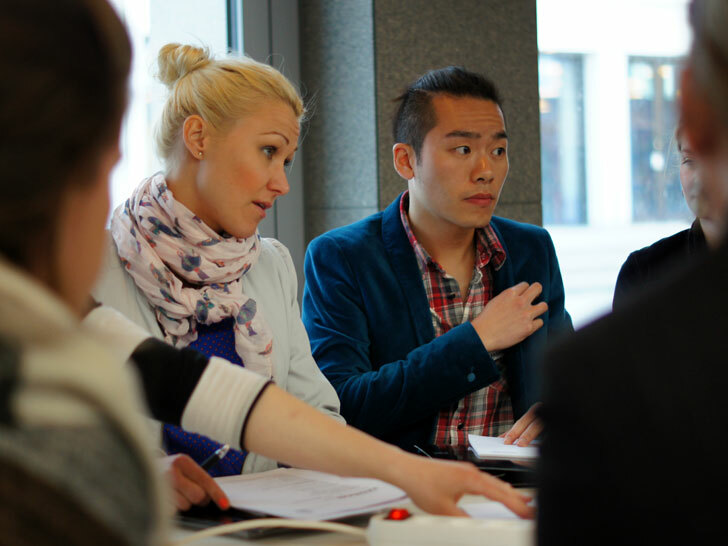 <h3>CREATE A FORUM TO DISCUSS ISSUES OF SUSTAINABILITY</h3> Another Copenhagen School of Design and Technology representative bemoaned the signal-to-noise ratio surrounding sustainable fashion. "There is too much misinformation, miscommunication, and misunderstanding about how to communicate sustainability effectively," she said. <p /> Brands can reduce the static by creating a forum where their customers can obtain clear, simple, and trustworthy answers to their questions. "We demand a platform," she said. "We demand a powerful voice to the consumer where they can break through this jungle of information without fear and confusion but with trust and guidance instead." 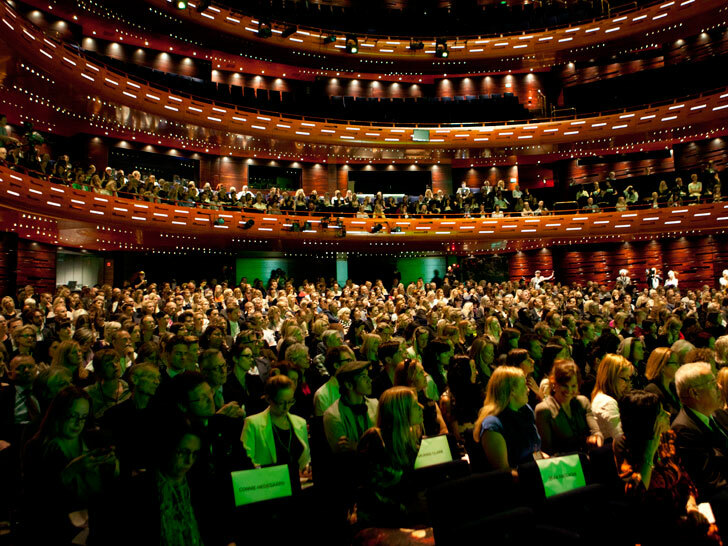 <h3>MAKE SUSTAINABLE FASHION AN EASY CHOICE</h3> Sustainability should be as easy as <a href="http://www.ecouterre.com/starbucks-debuts-indivisible-wristband-to-help-create-u-s-jobs/">Starbucks</a>, one student suggested. "It is your and our challenge to make sustainability easily accessible so sustainable products will always be a first choice," she said. "Movers and shakers of the industry: take responsibility for your products. We demand that you cut out the crap and make sustainability an easy choice." <h3>EMPOWER RETAIL STAFF WITH KNOWLEDGE AND PRIDE</h3> Retail employees need to know what they're talking about, said a Copenhagen student now based in Milan. "The fact is that if I'm a really super-conscious consumer, and I enter a store, I'm probably the biggest nightmare for the retail staff," he quipped. "They just don't know enough. We need to make them proud and aware of selling sustainable fashion." Staff members need to be "sustainability ambassadors" so customers can leverage their experience, knowledge, and best practices, he said. "Let's try, not only to <a href="http://www.ecouterre.com/queen-of-upcycling-orsola-de-castros-tips-for-emerging-designers/">upcycle our clothes</a> but also to empower our retail staff to upcycle their information." <h3>REBUILD TRUST BETWEEN MAKERS AND CONSUMERS</h3> "We demand a link between the society of makers and the society of wearers," an American fashion student at <a href="http://www.esmod.de/en/berlin/">Esmod Berlin</a> insisted to the audience. She proposed that garment labels not only include the item's fiber content and country of construction but also the total number of sewing hours to "better link the consuming civil society with the human component of fashion production." <p /> <a href="http://www.ecouterre.com/does-greenwashing-exist-in-the-fashion-industry/">Greenwashing</a>, she added, has destroyed much of the consumer's trust towards sustainability. We need to rebuild this trust through transparency. "Consumers trust what they know and what they hear from their peers," she said. "They do not trust what they hear from companies. Companies and NGOs should not be afraid to form transparent partnerships that everyone can trust."